SWC DISTRICT 8 RESULTS by Ron Nurnberger. 2018 12 01. 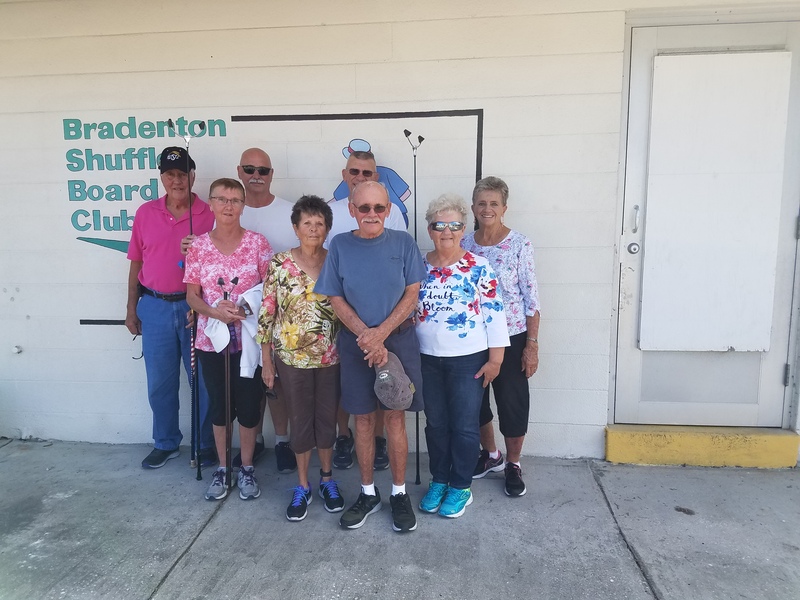 THIS WEEKS SWCD TOURNAMENT WAS HELD AT THE BRADENTON COURTS FEATURING THE TRADITIONAL 75 POINT GAME, M/L DOUBLES. 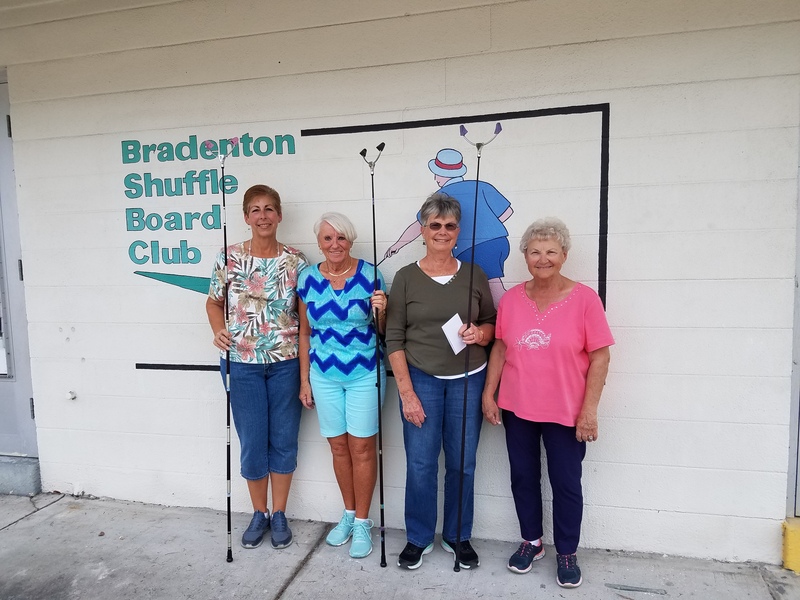 LADIES DIVISION: 1st PLACE; (L-R) TERRI SMITH & PAM NURNBERGER. 2nd; SHARON OLMSTEAD & ARLENE MCCAGUE. 3rd; CAROL MAXWELL & CINDY SLAUGHTERBECK 4th; EVELYN WHITE & SIGGY GODZUS. CONSOLATION: 1st Place: MARLENE COBURN & LINDA WALLINGFORD. 2nd; JILL DEBRUYNE & LETHA DEVRIES. 3rd; ADRIANA CRAMTON & PAT TOMKO 4th; KAY LYNN DUNCAN & DONNA SCHULTZ. 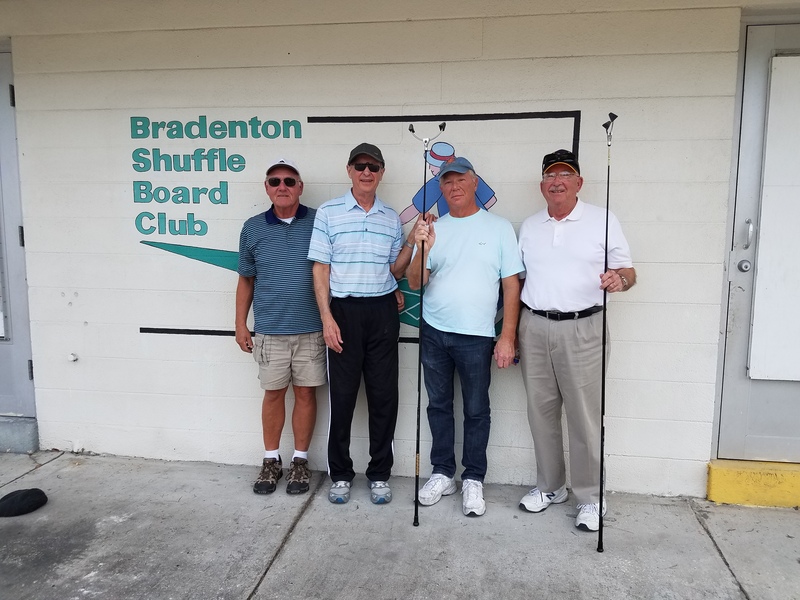 MENS DIVISION: 1st PLACE (L/R); RON NURNBERGER & LARRY MARDIS. 2nd; DAVE WELSH & DWAYNE CROSS. 3rd; JOHN L BROWN & CAU HUYNH. 4th; BILL BATDORFF & J.R. RATHBURN. CONSOLATION: 1st Place; MURRAY POTTER & GRANT CHILDERHOSE. 2nd; GERRY CURWIN & MIKE MARQUIS. 3rd; JERRY STANNARD & RALPH LOZANO. 4th; FARON VANDEGRIFT & DAVE MINNICH. AMATEUR DIVISION PARTICIPANTS: (L/R) BACK ROW: MAURICE JOYAL (4th Place); PATRICK ANTAGA (5th); FRANK MARDEROSIAN (3rd); URSULA JOYAL (2nd); FRONT ROW (L/R): ELAINE ANTAGA (8th); MARY FOWLER (6th); LARRY FOWLER (1st); RITA MARDEROSIAN (7th). TOURNAMENT DIRECTORS: JOYCE MARQUIS & PAT BATDORFF.